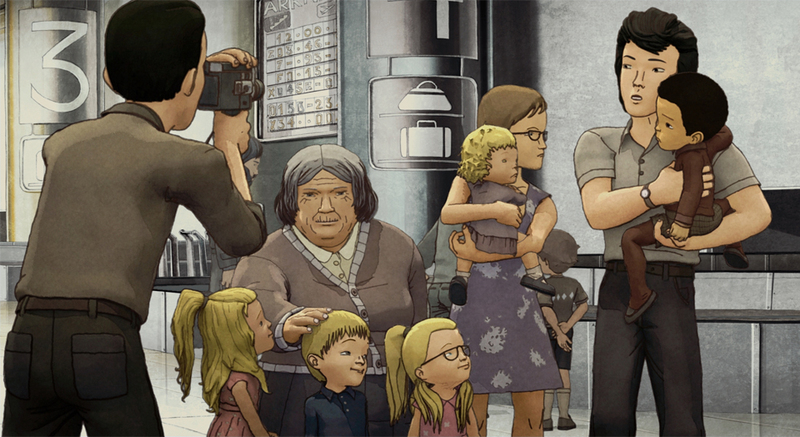 'Approved for Adoption' Arrives in L.A.
‘Approved for Adoption’ Arrives in L.A. & N.Y.
GKIDS brings Jung’s autobiographical live-action/animated documentary to the City of Angels. Documentaries—good ones, anyway—tend to fall on either side of a wide-arcing pendulum swing. The first are the detached, clinical, observational sort, which give an audience a (hopefully) unbiased feed of information and invite them to form their own opinions. The second type are the deeply personal films that come from creative minds brave enough to lay their experiences on the table along with their hurts, reactions, questions and epiphanies. Now, thanks to New York-based indie distributor GKIDS, U.S. documentary buffs and animation fans get a chance to catch one of the most powerfully personal films of the year: artist Jung Henin’s (who goes by Jung) Approved for Adoption (Couleur de Peau: Miel, “Color of Skin: Honey”). 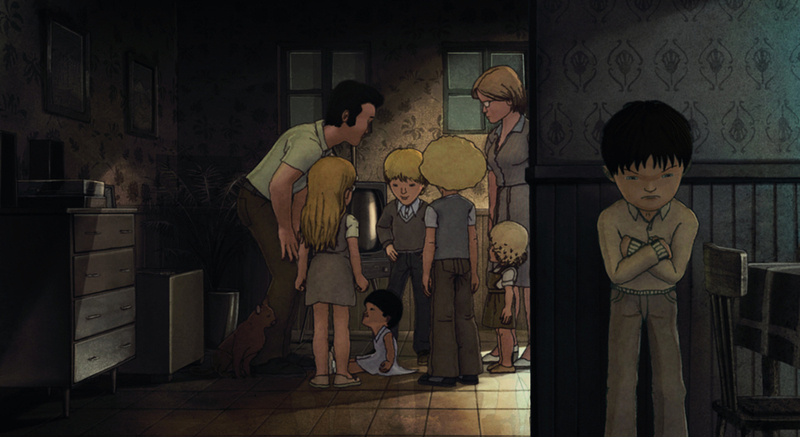 The French-Belgian co-production blends live-action footage of Jung as he travels back to his native Korea with animated flashback sequences of his struggles growing up in a large adoptive European family. His story is just one of many to come from the deluge of adoptions set off at the end of the Korean War. 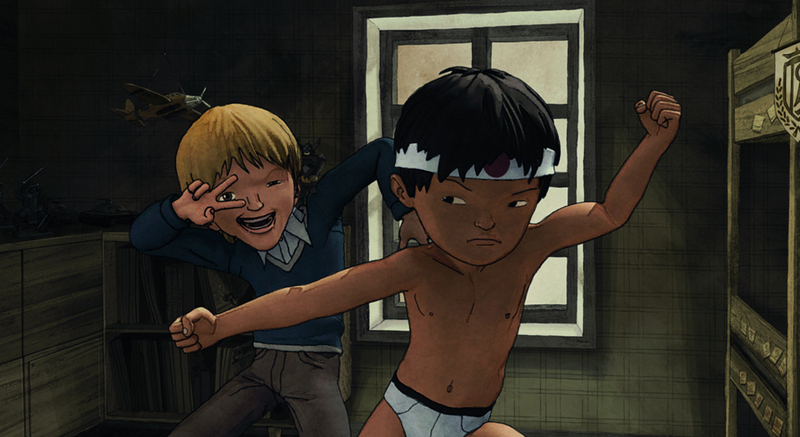 The film, which debuted in French theaters in June of 2012, was inspired by Jung’s graphic novel about his young life and how his emerging sense of identity as he grew up caused tension in his family and revealed their underlying biases. As a graphic artist, the director was hesitant when France Television in Nancy offered to make a pilot in CG, but the demands of production and good results of the tests made it clear that this was the best method. However, the dream sequences are in 2D, adding another level of story segmentation through visual cues. 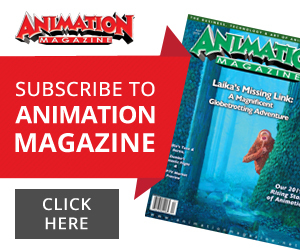 Though the majority of the animation was produced in France, the production utilized the increasingly common strategy of connecting animators working from home all across Europe over the Internet. Working in Autodesk’s 3D Studio Max, the team used Skype to connect with a chief animator based in the South of France and a virtual studio created from scratch. To share and manage digital 3D animation assets the production turned to DAMAS, a cloud-based system. It took a team of 15 3D animators, 12 rendering-compositing folks, about six 2D animators, five designers, four character designers and four layout artists (not to mention the live-shoot crew in Korea and post production team) about a year and a half to complete production. Approved for Adoption has fittingly won approval both at home and at festivals around the world. 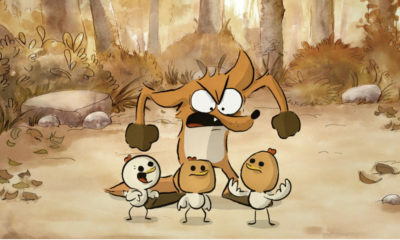 Notably, the inventive hybrid-documentary earned two coveted awards at Annecy (Audience Award, UNICEF Award), where it was also nominated for the Cristal. 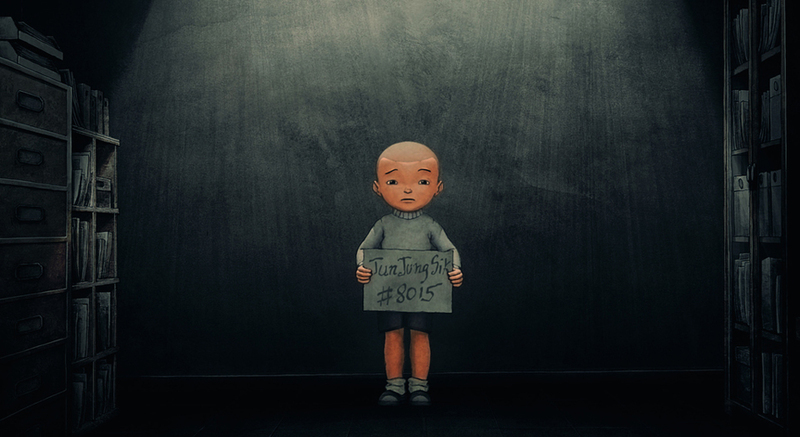 It also took home honors at Animafest Zagreb and Anima Mundi in Brazil. 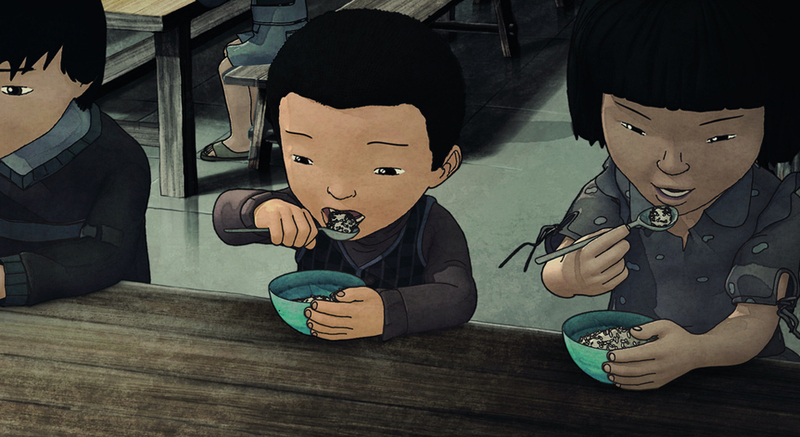 While these top notch toon fests have honored the film, the Academy of Motion Pictures’ stricter animated feature qualifications have influenced GKIDS to enter it in the Best Documentary race. Jung says he most admires comic creators who create a distinct universe—artists like Osamu Tezuka, Moebius, Katsuhiro Otomo and Chester Brown, as well as indie creators. 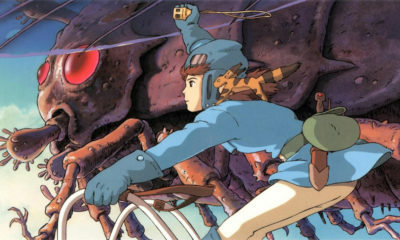 He adds that he is a huge Studio Ghibli fan and enjoys the works of filmmakers Park Chan Wook and Bong Jong Ho, though Alejandro González Iñárritu is his favorite. 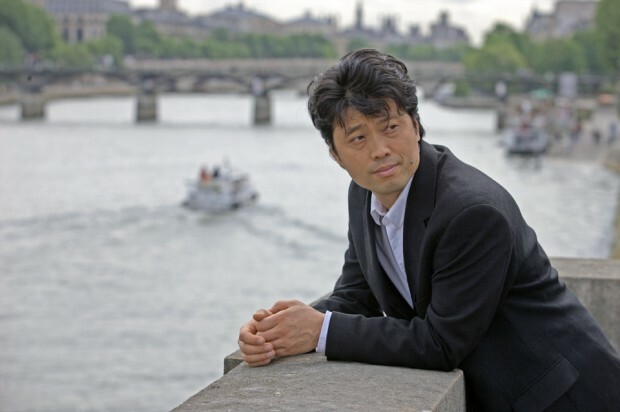 However, his film was primarily influenced by the demands of his story, from his point of view, in his words and through his creative expression. 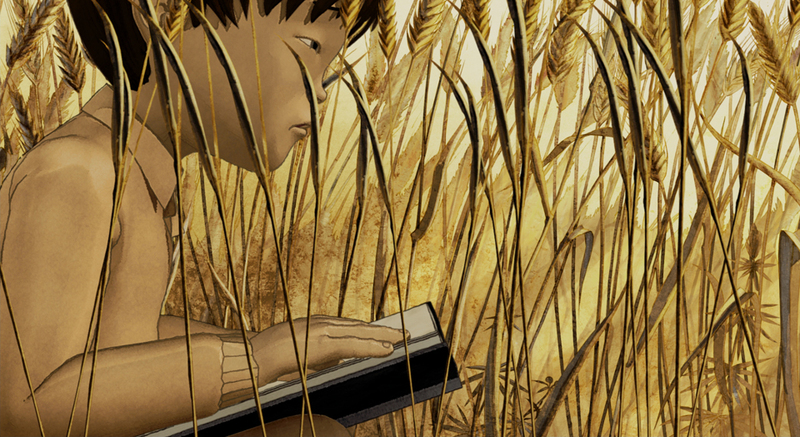 GKIDS presents a limited engagement of Approved for Adoption at Leammle Music Hall in Los Angeles November 22-28.